2019 is the year of folding smartphones, of that there is no doubt. Although everything is focused on the Samsung and Huawei proposals, Galaxy Fold and Mate X are not the only devices in the category. 2019 is the year of folding smartphones, of that there is no doubt. Although everything is focused on the Samsung and Huawei proposals, Galaxy Fold and Mate X are not the only devices in the category. Therefore, we have compiled a list of all the folding smartphones that we hope to see during the year. First of all, there was the Galaxy Fold , the first folding device from Samsung that kicked off the Unpacked event on February 20, literally jumping everyone out of the chair. This device has two completely separate screens, an external one of 4.6 inches with an aspect ratio of 21: 9 and a folding interior of 7.3 inches that opens like a book. 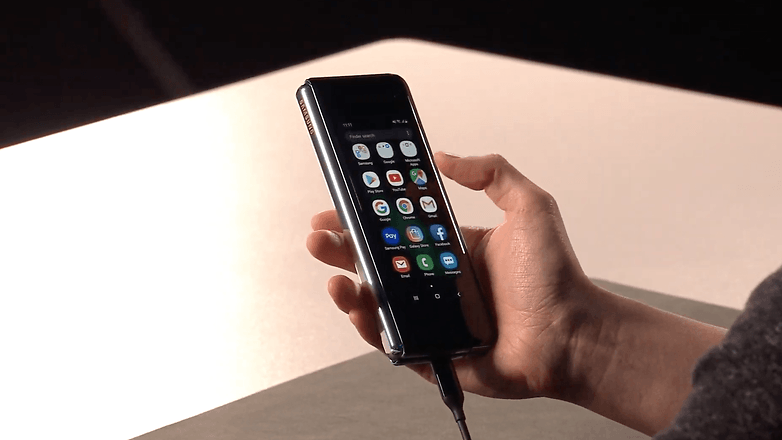 The Galaxy Fold presents a completely different design from the previous one (Royole FlexPai) and the subsequent proposal (Huawei Mate X), since the folding Samsung device is protected by the metallic body when it is closed. Under the hood is an Exynos 9820 processor , the same as the Galaxy S10 , 12GB of RAM and 512GB of internal memory, while the power supply will be managed by a 4,380 mAh battery divided into two sections due to its folding design. 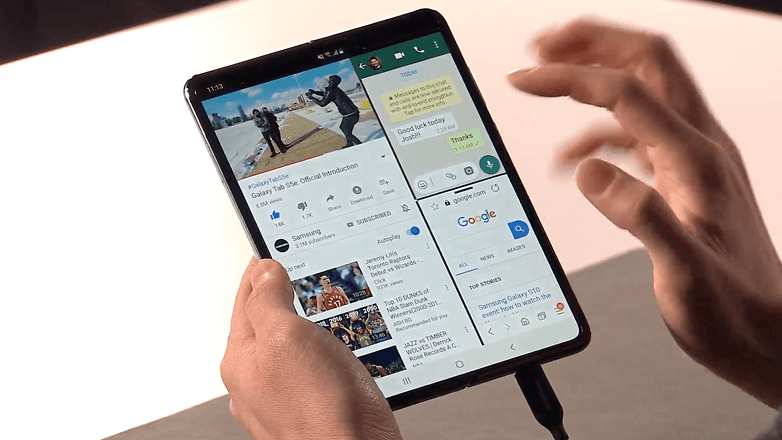 From the software point of view, Samsung has worked closely with Google to create a new experience, especially from the point of view of multitasking. You can run and use three applications at the same time. The Galaxy Fold will be available in May, but pre-orders will open in late April. The sale price is about 2,000 euros. Presented at this year’s Mobile World Congress , Mate X from Huawei is the second option on our list. The first thing that catches the attention of this device is the fact that it has a single screen and, therefore, it bends in the opposite direction to that of the folding Galaxy. When fully open, the Mate X offers a large 8-inch screen, while when folded it looks like a 6.6-inch diagonal smartphone. Huawei installed all the buttons, ports and cameras in a side section from which you can pick up your smartphone and which ensures a much firmer grip. Although at first glance the Mate X has proven to be better than the Galaxy Fold in several aspects (especially for its compatibility with the 5G network) , it is still too early to be completely sure and we will have to wait to try both devices at their best. We know this device very well. Announced at the end of last year, it is in fact the first folding smartphone that has seen the light and is already on sale (only in China at the moment). 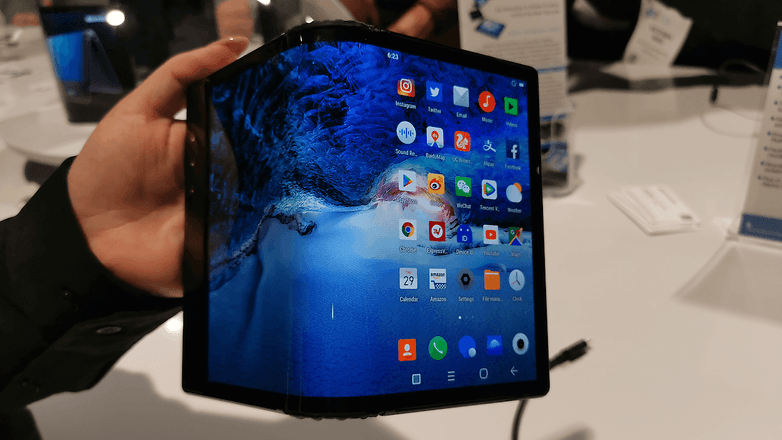 The company also took advantage of two important fairs to show their device to the press, first at the CES in Las Vegas (where we could try it with our own hands) and, later, at the Mobile World Congress in Barcelona. The design of the FlexPai probably inspired Huawei to build its Mate X: the two devices are not so different in several ways, although the way Huawei has achieved an unquestionably more advanced version is undeniable. Fully extended, Royole’s folding smartphone displays a 7.8-inch screen that opens outward. Despite the gaps that we have been able to check at the software level and in terms of quality of construction, reliability and robustness, we must remember that the FlexPai is also the most “cheap” folding smartphone on the market, launched in China to a price of about 1,300 euros. 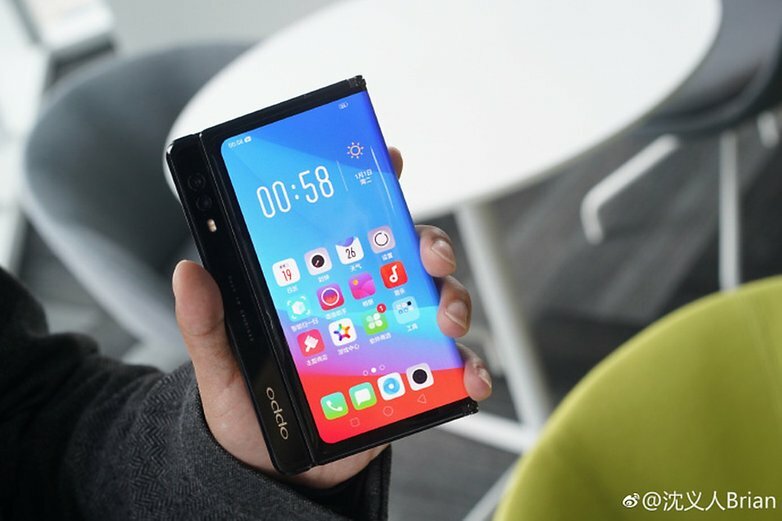 Although the Chinese manufacturer has not officially presented its folding smartphone, even during its press conference at MWC 2019, OPPO already has its own operating prototype. 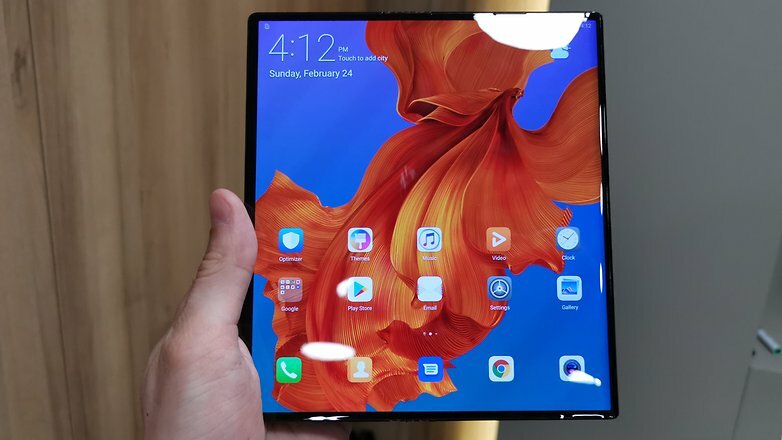 The foldable smartphone of the Chinese company has the peculiarity of being very similar to Huawei Mate X, not to say almost identical, and it was possible to notice these details thanks to some images shared on the network. As for the hardware components, unfortunately we do not have any information. We will still have to wait a while before seeing him in action and find out more details. However, the war of folding smartphones has only just begun and, in one way or another, OPPO has shown that it does not want to be left behind. One of the most recent and innovative folding smartphones that has been admired is that of the Chinese giant Xiaomi . 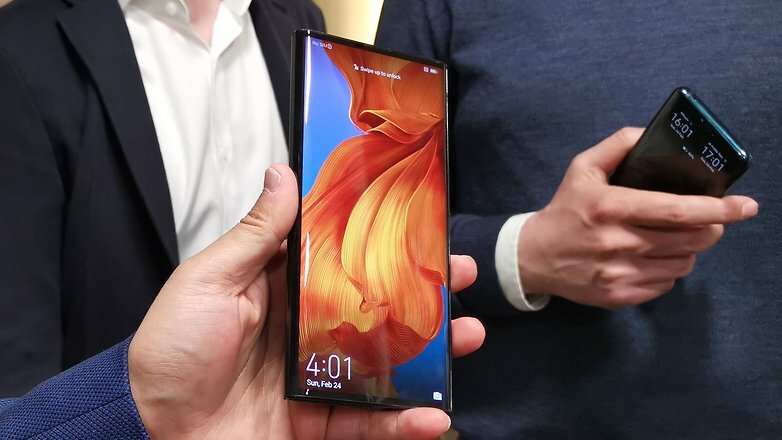 The first prototype, shown by the president of the company in a video posted on its official social networks, revealed that Xiaomi’s folding smartphone is capable of folding on two sides. Instead of closing in half like the Mate X, in the My Flex (name not confirmed) they can be folded externally by the left and right sides, turning the device into a much more compact smartphone with a square appearance, particularly unusual but innovative . Recently, Xiaomi decided to leave a statement on this device and did not hesitate to announce the arrival of his “folding double smartphone”. This brand probably will not tell you anything, but you should know that it is the company that manages the famous Alcatel and BlackBerry brands. During the press conference that took place in the mWC, the company showed its proposals. 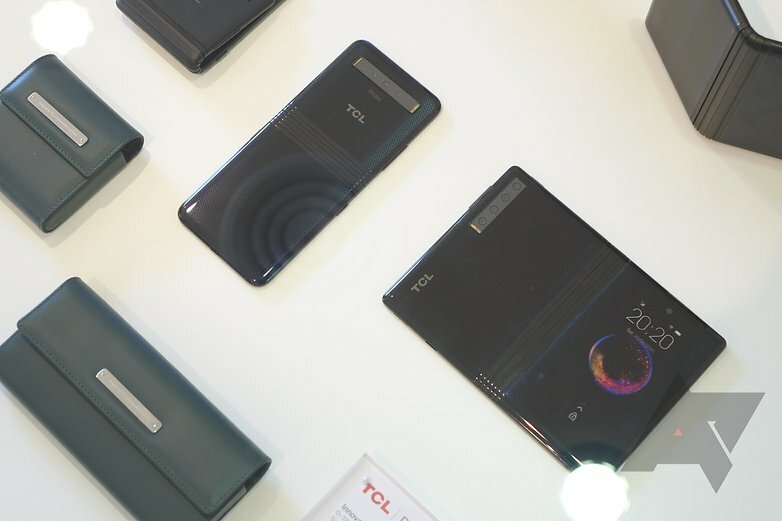 We speak in plural because the brand has not only shown a single folding smartphone, but different types that can be adapted to different types of customers. Some showed a screen that could be folded in half, while others could only fold a certain section of the screen. However, some of them are no more than prototypes and may never see the light. In addition, since they were only prototypes, they were only exposed inside a showcase, so it was not possible to approach them or touch them. What do you think of folding smartphones? Are you ready for the invasion? Next articleAndroid Q Beta is official: you can download it now!